Left-wing López capable of a Colombian presidential ‘coup’? Resounding electoral success is not a phrase often used to describe the Colombian left; unsurprising in a country that has endured 50 years of war against Communist insurgents. If recent polls are right, however, the presidential elections of 2014 are a once in a generation opportunity to redraw the political map. A third of voters appear set to vote left-wing while the right will be split between a Uribe-backed-horse and President Santos. If a candidate can be found to unite the left, and appeal to those in the centre, then victory is a possibility. There are many names in the frame but only one that can win – Clara López, President of the Polo Democratic Alternative party. The grandstanding polemicists must now give way and let López, a serious politician with real experience, have a shot at the Casa de Nariño. Gustavo Petro, the Mayor of Bogota, is the left-winger with the most power in Colombia. His position is the second most important in the country, and despite his militancy with the old guerrilla group M-19 he was able to win over a sufficient number of middle and upper income voters to take control of the city in November. His mandate began in January and has been – so far – underwhelming. In an earlier article published on this website Petro’s approach to winning the election – against the establishment candidate, Enrique Peñalosa – was examined and proposed as a blueprint for the left in future elections. Petro, originally seen as a firebrand who scared away any voter not ideologically tied to his brand of socialism, moderated his style and shifted the focus of his speeches on to the centre ground. Unfortunately for Bogota this strategy was forgotten as soon as he entered power; his regression to the left has alienated and polarised voters. Petro is a lesson for the left – both in how to win elections and how (not) to remain in power once there. Petro is also a warning to left-wingers to avoid the temptation towards internal warfare. The Polo Democratic Alternative party who supported Petro’s presidential campaign in 2010 were unable to unite around his candidature for the mayoralty of Bogota. Petro, in protest at the party’s refusal to condemn corrupt members, left the party to form his own movement, the Progresives. The Progresives split the Polo vote. The movement, bruised by Petro’s denunciations and internal splits, went on to record catastrophic local election results in November last year. Had the party acted to clean up the corruption and used Petro as a figurehead nationally and in the capital, the results would no doubt have been quite different. Petro is by no means the only important politician to have left the Polo. Luis Eduardo (“Lucho”) Garzón – a former Bogota Mayor – ditched the party to form the Greens, essentially a left-leaning party (despite being officially part of the Santos coalition government). The Greens have been electorally successful, most significantly gaining the governorship of Antioquia with Sergio Farjardo. 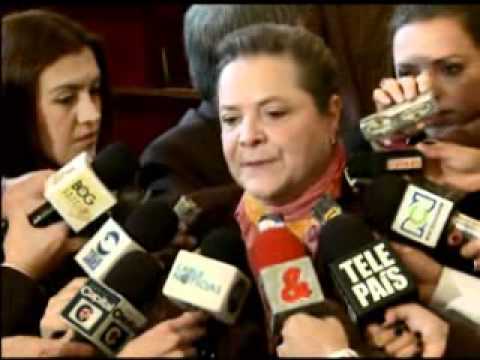 Another figure of the left is Piedad Córdoba, a controversial former senator who is accused of suspiciously close relationships with the FARC and with Venezuelan President Hugo Chávez. Córdoba, an excellent orator and former member of the Liberal Party, this year established her own movement, the far left, Marcha Patriotica. The left in Colombia is riddled with factions – it must repair them to select a candidate capable of winning the presidency. of the military and the police have participated in their extermination’. Remembering Gaitán, Galán, and Lara Bonilla, not to mention the hundreds of council candidates that over the years have been silenced, it is difficult to argue with Sevillano’s assessment. Sad then that news emerged this week of a planned attempt on Petro’s life. While the threats to the left of either internal annihilation or external assassination are not insignificant, the opportunity to make history is there. Leon Valencia, director of Arcoiris in a comment piece for Semana heralded the results of the poll commissioned by his organisation in which it was revealed that 28% of voters would vote for a left-wing candidate. According to Valencia, the poll is ‘a message of great hope’ for the leaders of the Colombian left. Should they ‘choose a single candidate who looks to the centre’ he ventures, ‘they have a chance of reaching the Palace of Nariño’. Valencia went on to argue that with the split in the votes of those on the right – as a result of the fight between Uribe and Santos – there is every possibility that the candidate of the left could win through to the second round – the head-to-head. Valencia drew analogy to Petro’s victory in Bogota, showing how a surprise candidate – in a crowded field – can sneak through the middle. The left have been successful in Bogota, it has been a long held bastion of progressive thought. Many capital cities in the world are more left-wing than the rest of their nation. To win in 2014, the left needs to chose a candidate that can appeal not only to the liberal metropolitan elite, but also to the rural voters. Clara López – despite her Bogota credentials – is this person; a serious and respected voice of the moderate left. 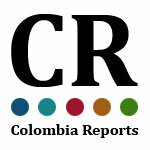 She has appeal across all sectors of Colombian society, and will not alienate or repel votes. In January Clara López returned to the presidency of Polo following a highly successful period as the caretaker Mayor of Bogota. Having taken over from Samuel Moreno – who had been suspended on corruption charges – López succeeded in uniting the capital, governing from the centre, and vanquishing the ghosts of her predecessor’s regime. López’s reputation as safe pair of hands had been cemented – and she remains one of the few left-wing Colombians with real and tangible governing experience. The appeal of Doctora López is based not only in her experience but also her character. Her image is not that of the prototype politician of the Latin American left. Cadenced rhetoric and polemical speeches about imperialist Yankees are not her style; she is a rolled-up-shirt-sleeve, no-nonsense politician. The tone of her discourse is serious and modest, the content realistic, not idealistic. ‘Colombia’s Iron Lady’ often wears thick rimmed glasses, pins tightly back her hair and dresses seriously. She is more akin to head mistress of a posh British school than a gun-toting revolutionary. Although aristocratic and formidable, although schooled overseas and an impeccable member of the governing class, López has never let the common touch evade her. The aloofness of oligarchical arrogance that Santos is accused (unfairly) of is not in evidence here. Examining her closely, there is almost something Churchillian in her stare and in her determination to do what she believes is right. If the left wants a presidential candidate that will deliver blood sweat and tears, it should look no further.